How much child support will I be provided? The amount of child support you will receive is based on the Washington State Child Support Schedule. The Schedule is a table the courts use to identify the total amount of child support for which both parents are responsible. This is the amount the court deems necessary to support the child each month. The court then takes that number and divides it between the parents in proportion to each parent’s contribution to the combined monthly net income. Confused? Let’s illustrate how this works with an example. Let’s say the parents’ combined monthly net income (and we’ll go over how to calculate that below) is $1,000. The parents have one child together, who is five years old. In this case, the monthly basic support obligation per child for a one-child family is $220. But that doesn’t mean the non-custodial parent pays the custodial parent $220 a month in child support. The court will divide the $220 between the parents, in proportion to how much each parent contributes to the combined monthly net income. If Parent A contributes 65 percent of the $1,000 combined income, and Parent B contributes 35 percent, then Parent A will be responsible for $650 in child support and Parent B will be responsible for $350 in child support. Do both parents pay child support? Technically, both parents are responsible for their portion of the basic child support obligation. But the court generally expects that the custodial parent will directly contribute his or her share via day-to-day spending to support the child. The non-custodial parent will generally have to pay his or her portion of the basic child support obligation each month. How do I calculate combined monthly net income? Finally, both parents’ net incomes are combined to arrive at the combined monthly net income amount that you will use to identify the basic child support obligation on the Schedule. For a complete list of income sources and expenses used to calculate net monthly income, see RCW 26.19.071. Child support typically lasts until the child turns 18 or graduates from high school, whichever is later. However, there are a few exceptions, such as if the child is disabled and has special needs, or if the child is still in high school at age 19. In many cases, the court may also order postsecondary support (college support); in deciding whether to grant postsecondary support, the court will need to determine if the child is “dependent and is relying upon the parents for reasonable necessities of life,” as outlined in RCW § 26.19.090. The court will also determine of the parents have the ability to contribute to college expenses. What should I do if I am not receiving enough child support? One of the parents or the child has experienced a substantial change in circumstances. This includes losing a job, an illness, etc. The Child Support Schedule has changed. It has been at least a year since your child support order was finalized and your child turned 12 years old or you can prove the current order creates a severe financial hardship for the parent or the child. How do I know if I am receiving the right amount of child support? 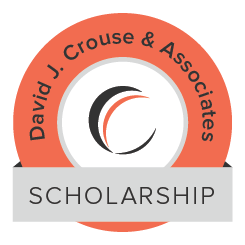 If you are unsure if you are receiving adequate child support, work with a lawyer at David Crouse & Associates, PLLC to review your current order and whether it adheres to Washington law. We can help you file for a modification or enforce your current order. Our lawyers can also help if you are in an active divorce and/or child support case, or if you are planning to file a petition for divorce and/or child support. Call us today at 509-624-1380 to set up a consultation.